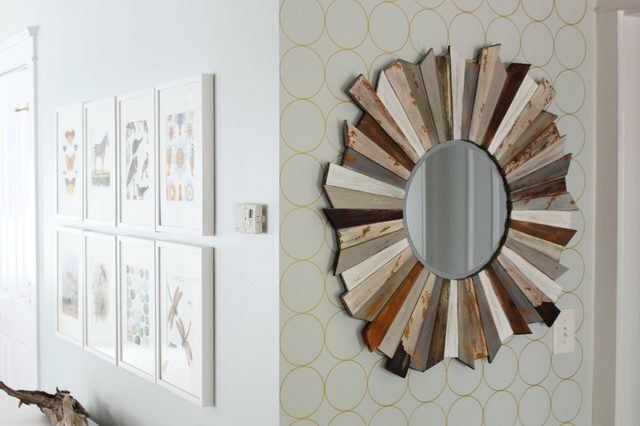 Adding an accent wall is an easy way to add interest to a room without taking too big of a big risk. 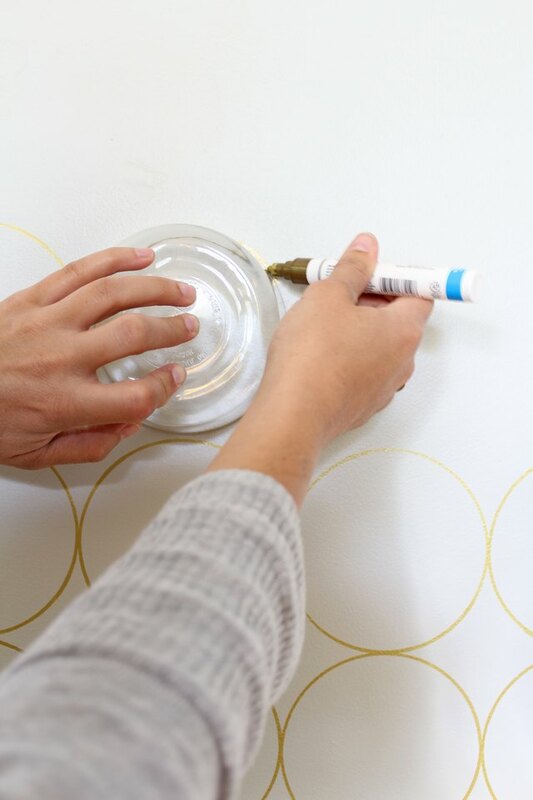 Make this DIY patterned accent wall in just 2 hours using a sharpie paint pen and a round glass bowl. 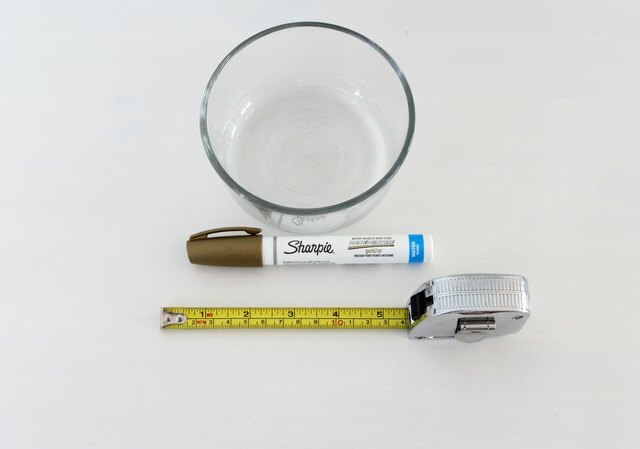 Measure the width of the wall you will be painting. Find a round object and measure the diameter. Make sure the round object you choose divides into the size of the wall. For example, if your wall is 40 inches wide, pick an object that is about 5 inches in diameter. 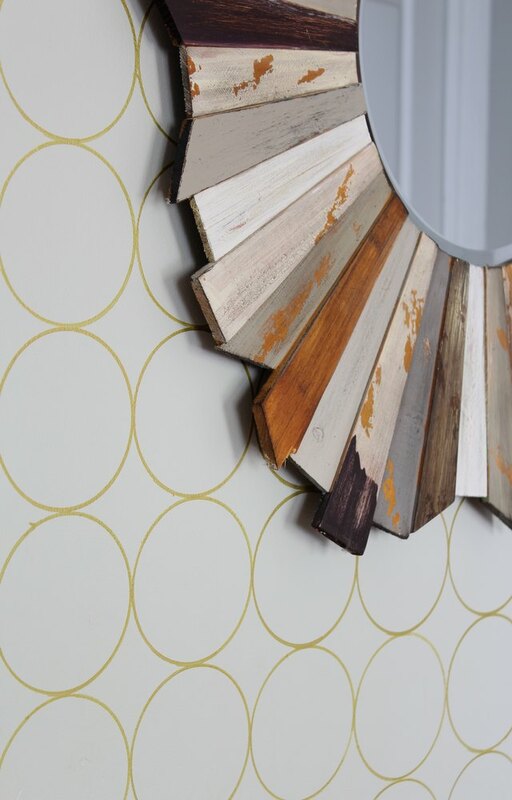 This will ensure complete circles across your wallpaper design. For a 40-inch-wide wall and 5-inch diameter bowl, you will need 8 complete circles to cover the width of the wall. Start at the bottom of your wall just above the trim and and trace circles around your bowl from left to right using the Sharpie pen. This project isn't hard or time consuming but make sure to take a few breaks in between so your arm doesn't get tired from holding the bowl in place while you trace. 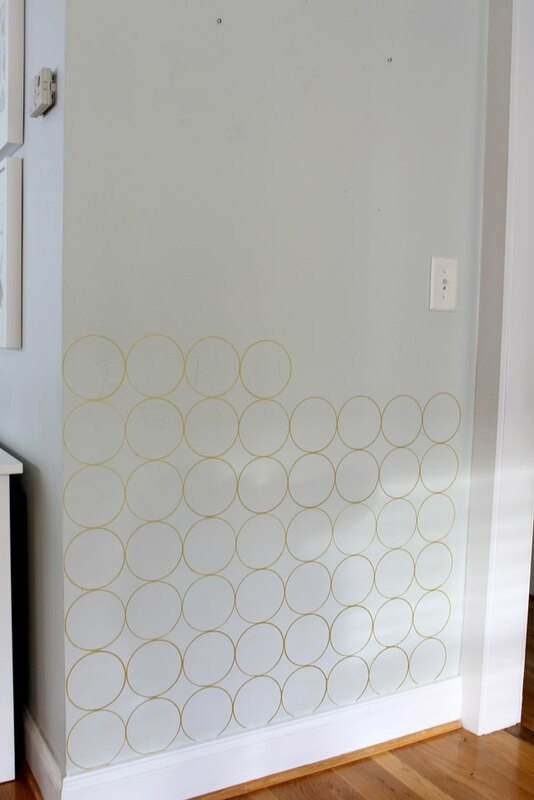 Finish tracing the circles to the top of the wall. 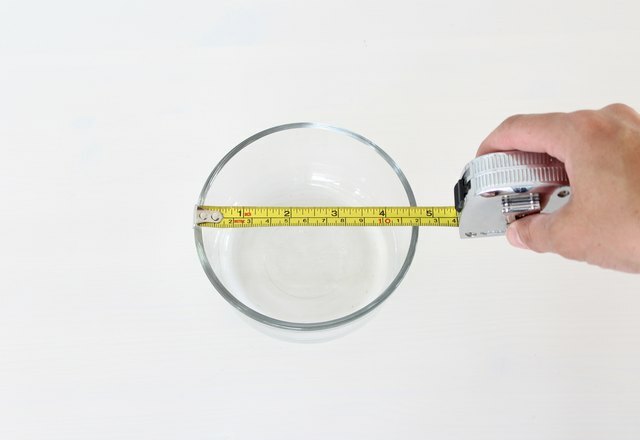 If you find that you only need a portion of a circle to finish the last row at the top, trace your bowl on a piece of paper and cut out the size of circle you need. I added a starburst mirror to complete the accent wall. 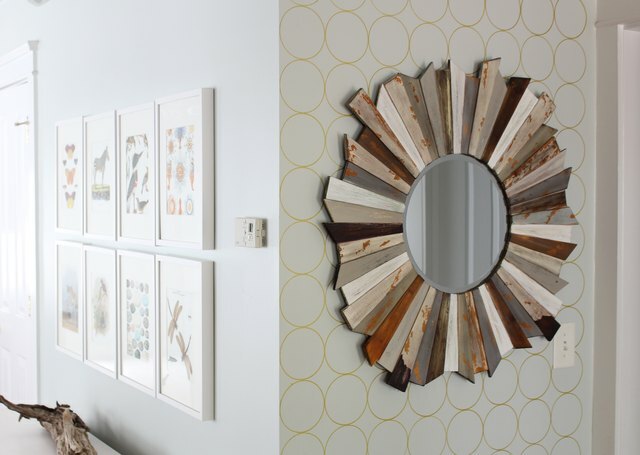 The subtle pattern and statement piece adds a great deal of interest to an otherwise boring entryway.